We talked before about how to Make Questions in Standard Arabic. Let's say you want to visit a country like Egypt or have Egyptian friends and want to talk with them in Egyptian dialect. The rule for making questions is a little different in Egyptian dialect. There are different words used and the structure also different. While in Standard Arabic, the question word comes in the beginning, in Egyptian dialect, the question word comes in the end. However, sometimes the question word comes in the beginning or in the middle. فين (= fain: where) is the question word and it comes in the end. Generally, most the questions in Egyptian dialect are formed with question word in the end. إزاي (= ezzay: how) is the question word and it comes in the beginning. كام (= kam: to ask about number) is the question word and it comes in the middle. كام (= kam) used to ask about number. To use it for price, put the preposition بِـ (= be) before the question word to become بِكام (= be kam: how much). See the Infographic below for examples. هل (= hal) for yes/no question. Usually, these type of questions come without any question word. Instead, it reveals from the meaning and the way it is said. If you have any question, leave a comment below and we'll response as soon as possible. 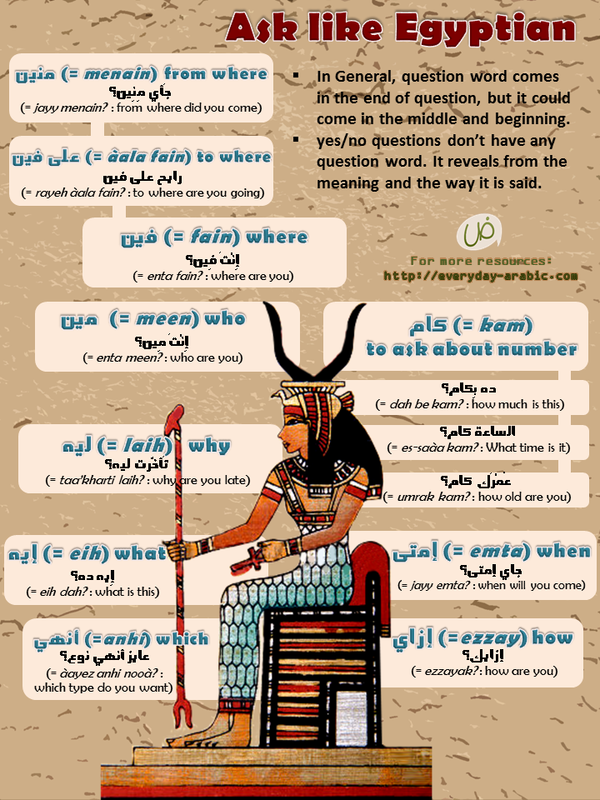 If you need to learn how to speak and understand Egyptian dialect, register in a free trail lesson. You can learn how to speak Egyptian without learning Arabic alphabet. 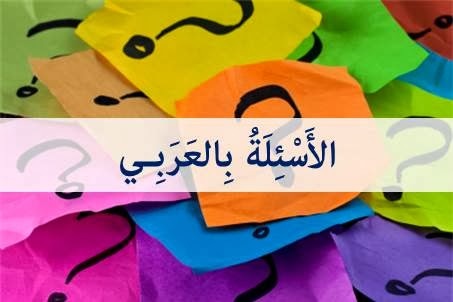 Quiz: Do you know how to make questions in Arabic? أين المِفْتَاح؟ (= ayna al-muftah?) where is the key? مَن هُنَا؟ (= man huna?) who is here? مَتَى نَأْكُل؟ (= mata na'kul?) when do we eat? مَاذَا تَفْعَل؟ (= maza tafal?) what are you doing? مَا لَوْنُكَ المُفَضَّل؟ (= ma huwa lawnuka al-mufadhal?) what is your favorite color? لِمَاذَا تَأَخَّرْت؟ (= lemaza ta'khart?) why you are late? هَل أَنْتَ سَعِيد؟ (= hal anta saeed?) are you happy? 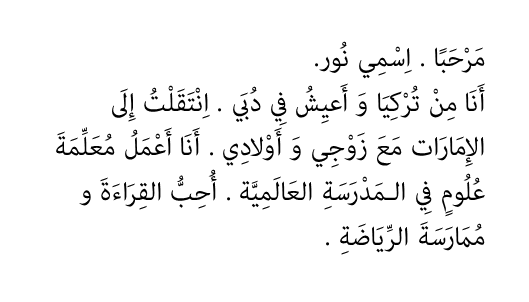 كَيفَ عَرَفْتَ الحَل؟ (= kaifa arafta al-hal?) how did you know the answer? بِكَم هذا القَلَم؟ (= bekam al-qalam?) how much is this pen? أي فِلْم سَنُشَاهِد؟ (= ayyu film nushahed?) which film shill we watch? بِمَاذَا تَكْتُب؟ (= bemaza taktub?) 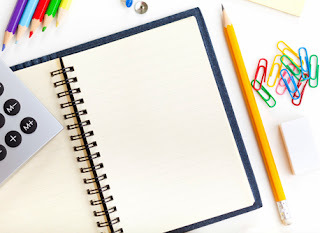 how do you write? by what? لِمَن هَذِا المِعْطَف؟ (= leman haza al-meataf?) for whom is this jacket? بِـكَم الحَقِيبة؟ (= be-kam al-haqeeba?) how much is the bag? كَم عُمْرُك؟ (= kam umruk?) how old are you? كَم طَالبًا في الفصل؟ (= kam taleban fee al-fasl?) how many students in the class? أ (= A') for Yes/No question, أنّى (= Anna) means How and أيان (= Ayyana) means When. since in general these are not often used, we didn't put examples for them. If you have any question, put it in comments below and I'll be happy to answer. عَامِل إيه؟ (= Amel eih?) what are you doing. إيه (= eih) is used in the end of the question. Whether you like to talk about yourself or not, Introducing Yourself in Arabic is the first thing for a beginner to learn. If you apply for a position in Arabic company, the first question would be "حَدِّثْنَا عَنْ نَفْسِك = haddithna ann nafsek" which means "tell us about yourself". Another situation is when you fill an application in Arabic, most the blanks will be things about yourself. Maybe you have a new Arabic neighbor, you would want to get to know this person and the neighbor would also want to know you. A small conversation can tell you a lot about the person... So the first step to communicate with other is to know them and let them know you. You couldn't understand the audio file? I know what you're telling yourself! This is in Standard Arabic which technically only used in writing and reading. 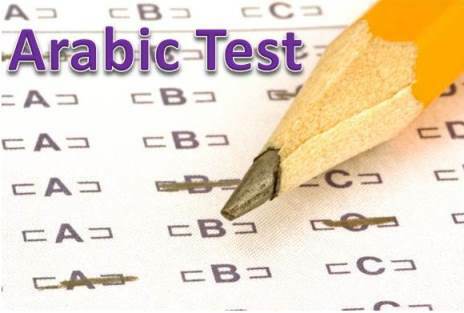 If you did good in this quiz, you are ready for the next step, which is Introducing Yourself in Arabic Dialects. --> If you have any question, we'll be happy to answer, leave a comment in this page or contact us. --> If you want to practice more on Arabic skills try our service ONLINE LESSON with a native tutor, one-on-one, set a date/time to start and we'll be happy to meet you. Share what do you think about this test!